The birth of Building Memories begins with three like-minded friends – an architect, an illustrator and a designer – who shared the same appreciation for Singapore’s Heritage. This project was supported by the Singapore Memory Project’s irememberSG Fund as part of the Singapore 50th National Day (SG50) celebrations. 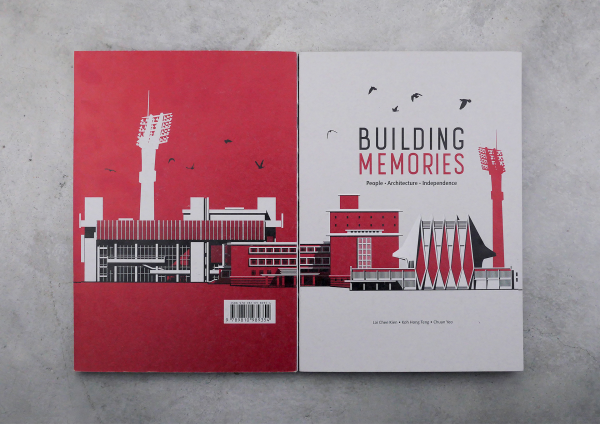 At heart, Building Memories is an interactive art book documenting the intrinsic histories, as well as personal and collective memories of four public buildings which have helped shape the nation. These were the National Library (1960), the National Theatre (1963), the Singapore Conference Hall and Trade Union House (1965) and the National Stadium (1973). The essence of these structures is uniquely captured through intricate design elements such as replicated library cards, stadium invitations, collections of historical images to theatre architectural pop-up that allows people to re-experience their personal memories. Singapore did not become a first world country or a more livable city overnight. The nation was enriched by each and every one of its citizen every day for the past 50 years. 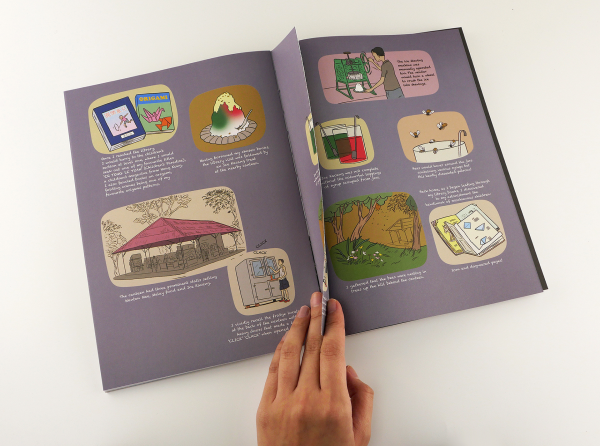 The goal of the Singapore Memory Project is to engage individuals, communities, groups or institutions who have formed memories and content about Singapore and would like to contribute them. 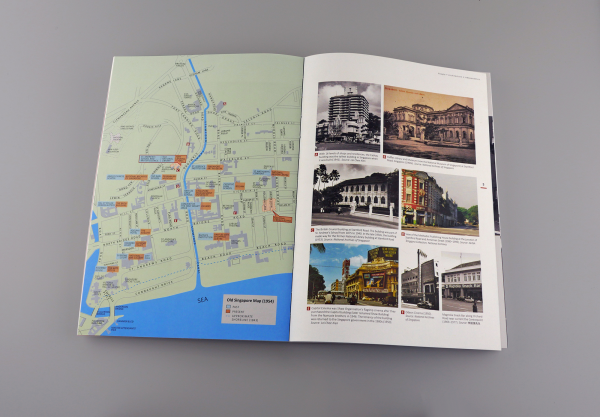 As part of the project contributor, we have retrieved Singapore’s four main historical buildings and its past stories to bring forth collective memories. These buildings are the National Library (1960 - 2004), the National Theater (1963 - 1986), the Singapore Conference Hall and Trade Union House (1965 - present) and the National Stadium (1973 -2006). Capitalizing on each individual’s strengths, the trio sought to bring to light precious memories that were yet to be discovered by the public at large. Historical information was brought across via quirky design, infographics and comics that could engage and sustain the readers’ interest. A replica of the Library Borrowing Card was installed at the front page of the book to mimic the library books found in the National Library back then. 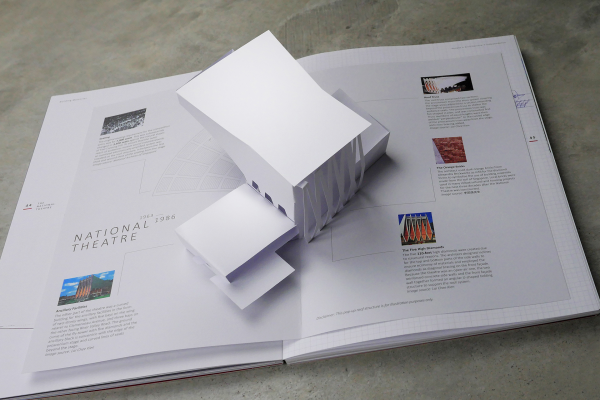 A 3D paper pop up of the National Theater was constructed to illustrate the magnificent architecture. Also included a replica of the opening invitation card to the National Stadium that was rare to the public even then. 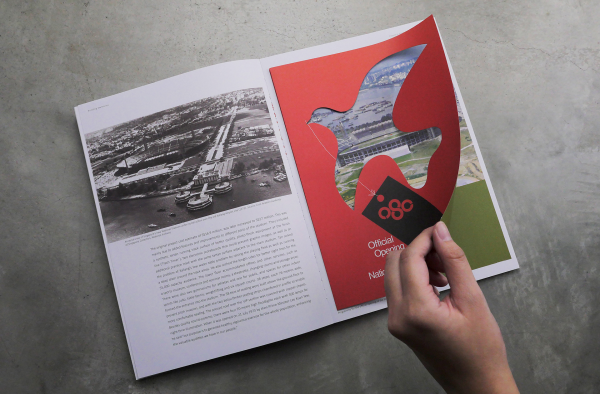 And the reader is able to uncover a digital flipbook of the opening brochure for Singapore Conference Hall in the 60s, by scanning the QR code found in the midst of the pages. 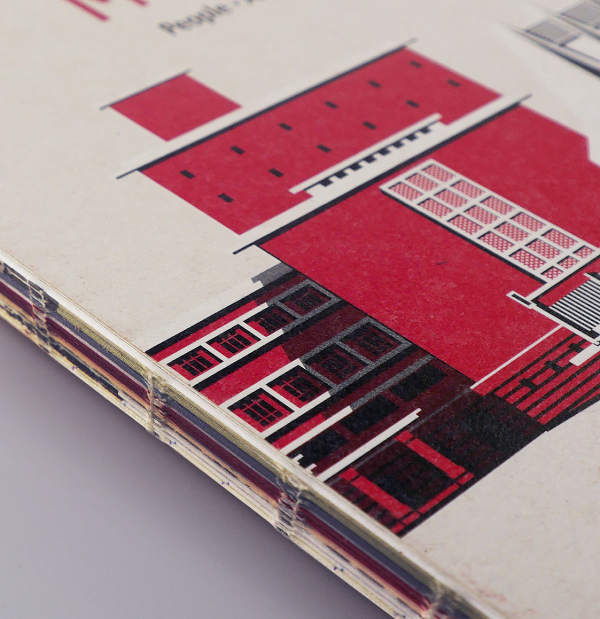 A finishing touch to the book was the open spine that enables the cover and back cover to be placed side-by-side to form a seamless piece of illustration of the 4 buildings. These intricate details were carefully thought-out, planned and executed to increase engagement of the readers and help to provide a fully immersive experience. 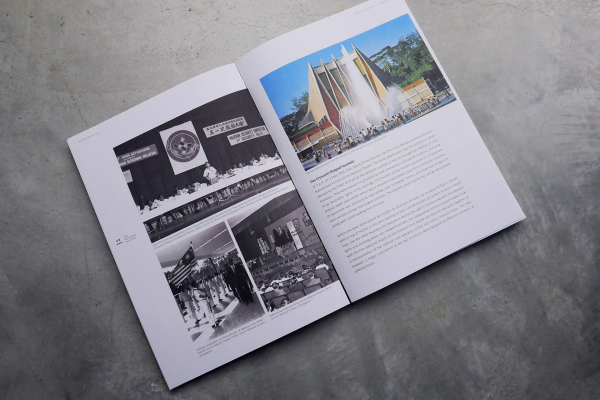 It was a challenge to have Building Memories published and be comprehended when there were a lot more other publications that have their book released the same time in celebration of Singapore 50th National Day and not forgetting the existing historical publications that has been in store. 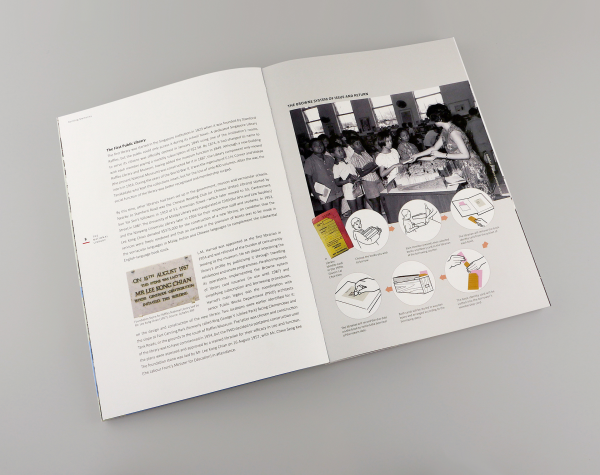 Extensive research, interviews and heavy illustrations works are needed to translate to a more engaging result. As for book printing production, grey board cover was used to give it a raw finishing reflecting the genuine messages and stories within. Different printing technique was used with 2 process of white print. 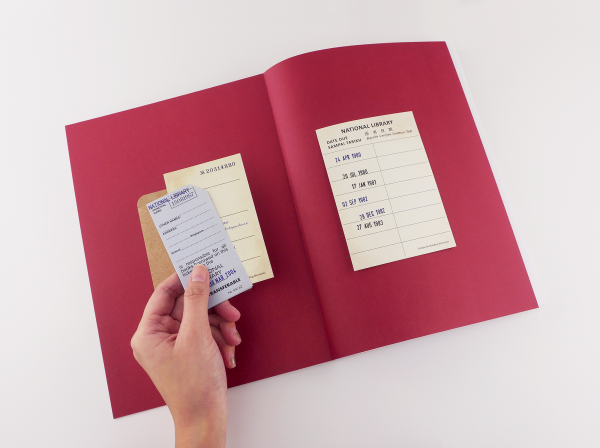 The Library Borrowing Card provides a pleasant element of surprise right from the beginning of the book and the actual physical structure helps to draw out strong nostalgic feelings. 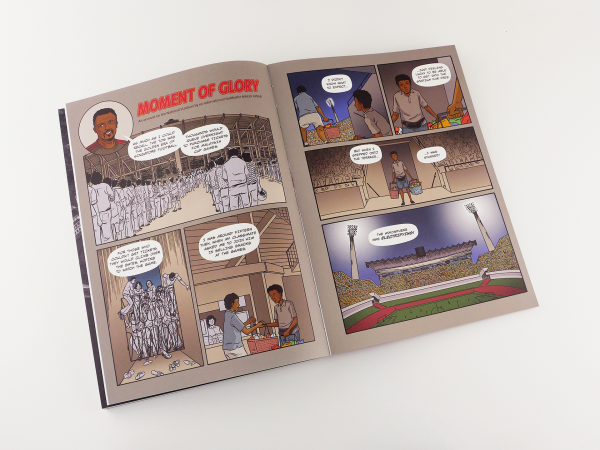 The illustration of comics drawing, photographs and info-graphics also helps to convey the heavy messaging of the historical information in a light-hearted manner so that interest is sustained throughout the storytelling. 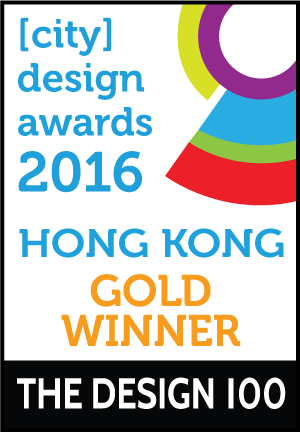 After all, this art book was designed to enhance the reader experience while engaging them into Singapore's culture rich heritage.